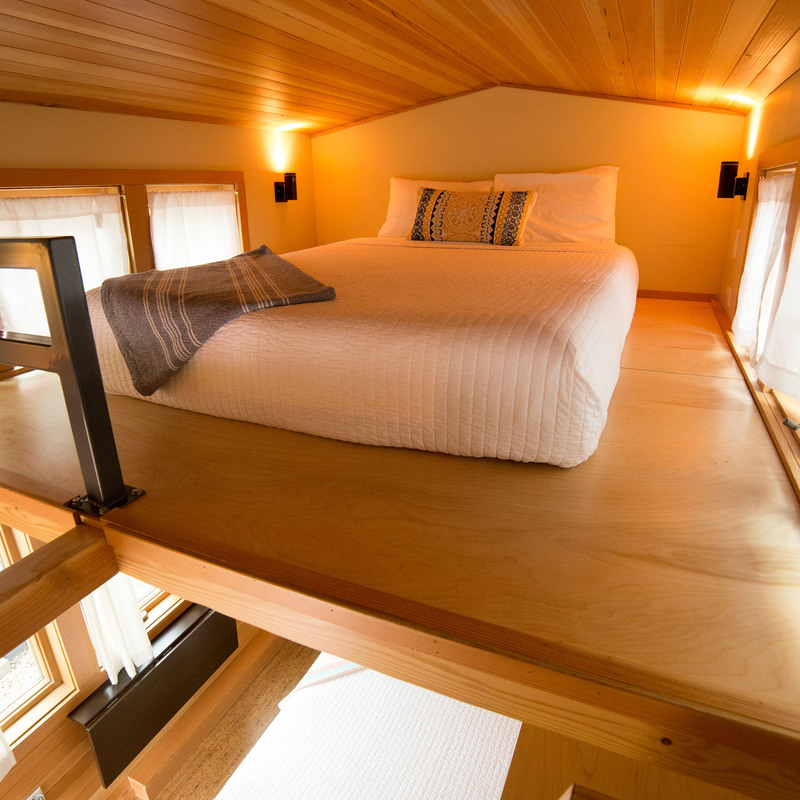 The Roaring Fork Aspen was featured on HGTV's Tiny House Hunters on Season 3, Episode 7. A queen-size murphy bed on the main level is perfect for kids, while a second queen bed is accessible by a steep storage staircase. Cork floors and wooden accents highlight this classic house. Bathroom features a shower, flushing toilet and sink. 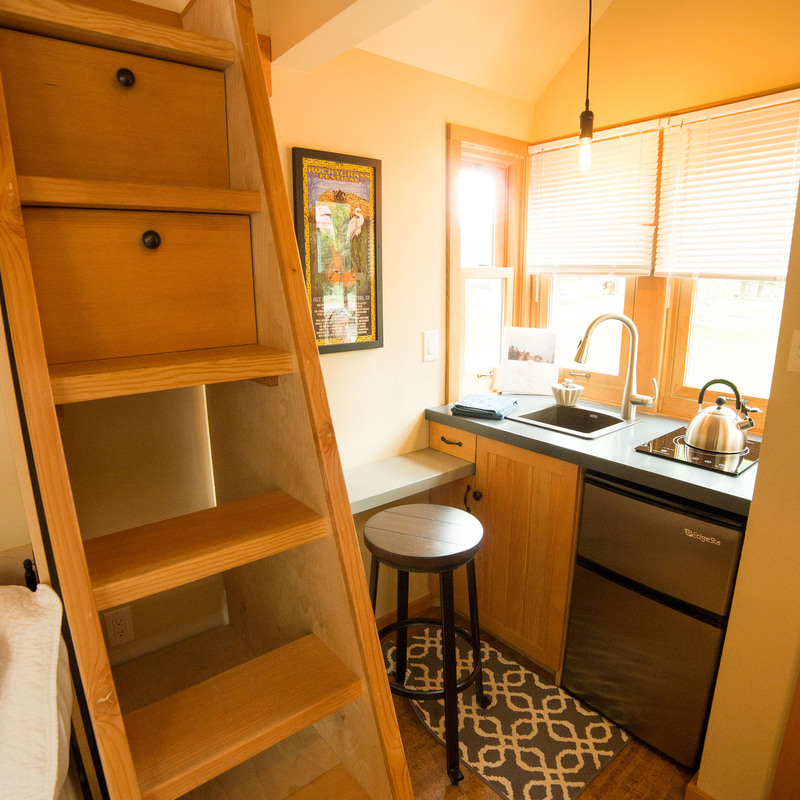 Kitchenette includes a sink, mini-fridge, induction cooktop and toaster oven. Plus a 24" smart tv on the main level (to use the tv, bring your own Google Chrome Cast, Amazon Fire Stick or Apple TV).